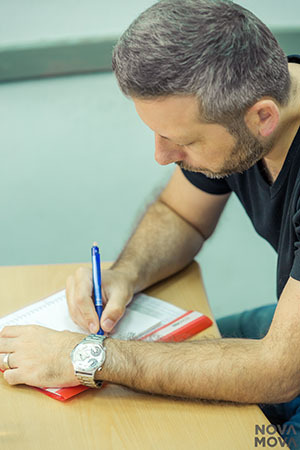 NovaMova school has prepared foreign citizens to pass a certification exam in Russian as a foreign language for all levels (A1-C2) for more than 7 years. 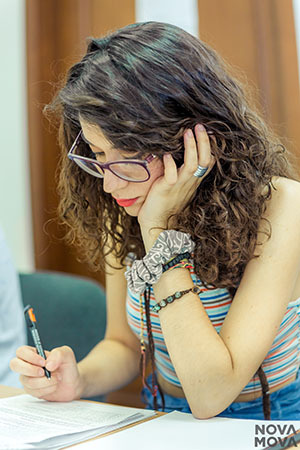 Our courses prepare foreigners for exams to get an international certificate (Everyday communication, Business Communication, International tourist business) as well as for the examination for Russian Federation citizenship. Our teachers will familiarize you with the requirements, prepare you for the test, and administer a trial test. You can pass this test anywhere where it is administered not just in the Russian Federation. 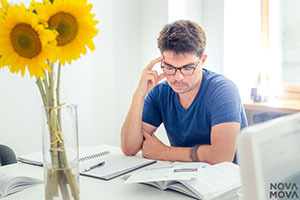 Includes training for the EXAMINATION MODULES: Oral Examination Module (Social Introductions, Presentation and Interaction, Test of Liaison Interpreting and Negotiation), Listening Comprehension Examination Module (Listening for gist and listening for detail and analysis), Reading Comprehension Examination Module (Reading for gist and reading) for detail and analysis. The school has all necessary coursework for test preparation, including modern, original, materials. Our teachers are familiar with the requirements and have successfully prepared British diplomats for this test for more than three years. Consists of two parts: Speaking (Conversation, Speaking at length, Interview) and Reading (Reading in Gist and Reading in Depth). Our teachers attended the training seminar "FSI test training for teachers", which was held by the US Embassy. They are familiar with the requirements and conditions of the FSI test. This test is developed and conducted by DEFENSE LANGUAGE INSTITUTE. It is used by the Department of Defense and other military divisions. The test includes two aspects: Reading and Listening proficiency in Russian as a foreign language. Most military positions require a foreign language proficiency rating of 3 in both listening and reading (with possible language proficiency scores of 0, 0+, 1+, 2, 2+ or 3). DLPT Prep designed for: Active Military Personnel, Army National Guard Linguists and U.S. Army Reserve Soldiers, Foreign Area Officers (FAO). Teachers of the school know all requirements and conditions of the test.